Save $753 on Peregrine Adventures 15 day Northern Thailand & Laos Experience departing 21 December 2018. Now $4,272 per person twin-share – was $5,025 per person twin-share – a saving of $753 per person. Get up close and under the surface of two of South East Asia’s most exciting destinations, Thailand and Laos. On this trip, travellers will discover the hustle and bustle of Bangkok’s city life, get up close and personal with the incredible species at the Elephant Nature Park, visit Bridge over the River Kwai to gain an insight into its dark history and venture off to the jungle town of Luang Prabang. Highlights for travellers include spending a night at the Hmong Hilltribe Lodge, embracing the cultural traditions of the orange-clad monks before sunrise and unwinding onboard, soaking up the stunning scenery and village life that surrounds the Mekong River. 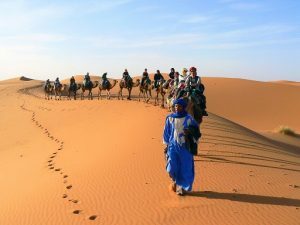 Save $401 on Peregrine Adventures 16 day Highlights of Morocco departing 15 December 2018. Now $2,274 per person twin-share – was $2,675 per person twin-share – a saving of $401 per person. Venture to the heart of Morocco on this journey from Casablanca to Marrakech. On this trip, travellers will discover the towering Mosque of Hassan II, gain insight into one of the most prodigious ruins of the Roman Empire, explore the majestic city of Meknes, experience a night in an elegant rooftop terrace in the heart of Fes and ride a camel across the Sahara desert for sunrise over the dunes. Highlights for travellers include indulging in traditional Berber food and hospitality in the peaks of the High Atlas Mountains and embarking on a magical evening in Jemaa el Fna. Save $1,179 on Peregrine Adventures 15 day Essence of Central America trip departing 29 December 2018. Now $6,686 per person twin-share – was $7,865 per person twin-share – a saving of $1,179 per person. On this trip, travellers will venture off on a trail in Belize, witness an array of brightly painted houses in Flores at sunset, discover the jungles of Guatemala, explore the captivating city of Antigua and its Volcan de Agua and absorb the cultural and artistic vibe surrounding Lake Atitlan. 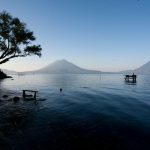 Highlights for travellers include spending two nights at Hotel Atitlan in Panajachel witnessing views of the San Pedro volcanoes in the distance and indulging in a garden lunch at the El Jardin de Celeste located on the famous Flowers Route. Save $1,539 on Peregrine Adventures 21 day Peru Highlights trip departing 15 December 2018. Now $6,156 per person twin-share – was $7,695 per person twin-share – a saving of $1,539 per person. From canyons to mountains, jungles to floating islands, discover the best Peru has to offer. On this trip, travellers will discover the famous archaeological site of Machu Picchu, embark on a journey through Colca Canyon to witness its diverse range of ancient Indian villages, indulge in Peru’s world-class authentic culinary experience, discover ancient Cusco and gain an insight into Peru’s culture and history. Highlights for travellers include spending two nights at an Amazon Lodge in the heart of the Amazon rainforest and witnessing the mesmerising floating reed islands of Uros on Lake Titicaca. Save $1,175 on Peregrine Adventures 13 day Cuba Highlights trip departing 29 December 2018. Now $4,700 per person twin-share – was $5,875 per person twin-share – a saving of $1,175 per person. Experience Cuba’s finest on a journey across the colourful Caribbean island. On this trip, travellers will get a glimpse of real Cuban life by exploring the historical avant-garde sculpture, exploring rural life and its renowned tobacco fields, gain an insight into the Bay of Pigs Invasion at the Gion Museum and blaze through the streets of Havana in a vintage convertible. Highlights for travellers include visiting the classical city of Trinidad, dancing the night away in a one of a kind salsa dance lesson and unwinding for a two night stay at the iconic Hotel Nacional in Havana.